Marshall Paul focuses his practice on counseling businesses, health care concerns and professionals with respect to limited liability company matters, general corporate matters, joint ventures, acquisitions and sales, fiduciary duty issues and financings. His clients include large-scale health care providers, technology companies, distributors, service providers and manufacturers of various sizes, as well as individual health care professionals and other professionals. 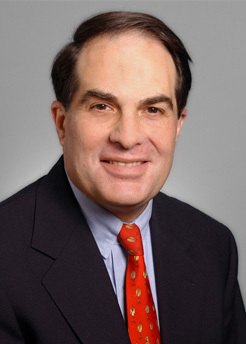 A co-author of the Maryland Limited Liability Company Act, he served on the American Bar Association committee that drafted the ABA's original Prototype Limited Liability Company Act. Marshall has lectured both locally and nationally regarding limited liability companies and other legal matters. He has co-authored numerous articles on limited liability companies and other legal matters, as well as a widely-used book on limited liability companies. For a complete list of Marshall's published works and presentations, please click here. Marshall served for ten years as an adjunct professor at the University of Maryland Law School, where he lectured on partnerships, corporations and limited liability companies. Litigation team wins dismissal of class action for Medifast Inc.